One of our recent weddings was in San Diego with April and Colin Livingston. 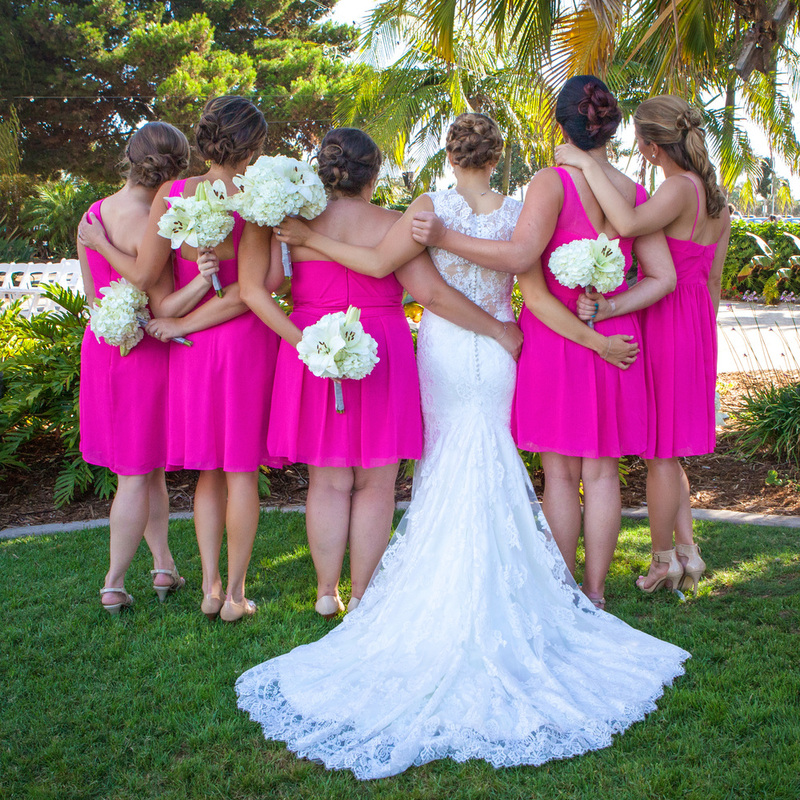 This impressive couple planned an intimate family and friend destination wedding at the Bali Hai in San Diego. Getting dozens loved ones to cross country and come together for this special occasion was as challenging as one could imagine but this couple was able to pull off an exceptional night of celebration and love in the sunset light of San Diego, California, hundreds of miles away from home for most of the guests. One of the best aspects of the Bali Hai is the view of San Diego and the skyline which is exceptional in the evening hours. The area for the wedding ceremony is well maintained, comfortable and beautiful to photograph in. The guys were a pleasure to work with. Colin felt that the wedding photos were an important memory and wanted to capture moments he could cherish as much as April. The results speak for themselves. The girls were also wonderful to work with. All made up and ready to go, they made my job easy. As sunset drew near, we quietly escaped to take a few last-minute photos with the golden light behind. One of my favorite photos of the day to showcase this beautiful couple on their very special wedding day. And when all the important stuff is finished, it's time to dance and celebrate!!!! Please like/share our blog posts with family and friends. Thank you for visiting.